Shrubs, bushes, trees, and planters all create an oasis of quiet outdoor areas. Unfortunately, they also grow relatively fast, becoming scraggly before too long. But who has the time to keep up with your bush trimming each week? Depending on how many your home has, it can feel like a full-time job sometimes! Fortunately for you, Lawn Works offers affordable and convenient bush trimming services. No matter how many you own or how frequently you need us, we are the best choice for your landscaping needs. Continuing proper bush trimming is the best thing you can do for your plants’ overall health and well-being. Without appropriate trimming, they will remain wild, may begin growing out of shape, or potentially even uproot themselves. And once bushes, shrubs, and plants start becoming overgrown, they create an ideal environment for animals and pests to move in. Simply put, wild-looking plants are the least of your worries once their growth gets out of hand. However, with professional trimming services, you don’t have to worry about a thing. Our team remains thoroughly trained in the right ways to prune plants, giving you the best service each visit. Did you know that there is a wrong way to trim plants? Unfortunately, the smallest mistake could take years to recover, if it’s even possible. Many homeowners continue to top their bushes, shrubs, and trees, even though in most situations it’s unnecessary. In fact, cutting a plant is among the worst things you can do to it! And yet, it’s still common practice for both residents and landscaping companies. As a result of harmful topping practices, your plant undergoes immense stress, shocking it to the point where its growth remains stunted. Some think that topping is still something shrubs need, while others do it to get out of having to maintain them so often. Either way, it’s not in the best interest of the plants. Instead, our team only trims them the correct way. By relying on power trimmers, we carefully cut and sculpt your plants without harming them in the process. Safely removing overgrowth and scraggly branches are how shrubs grow in thick and lush. Topping them, as well as other techniques that harm the plant, prevent them from maturing fully. 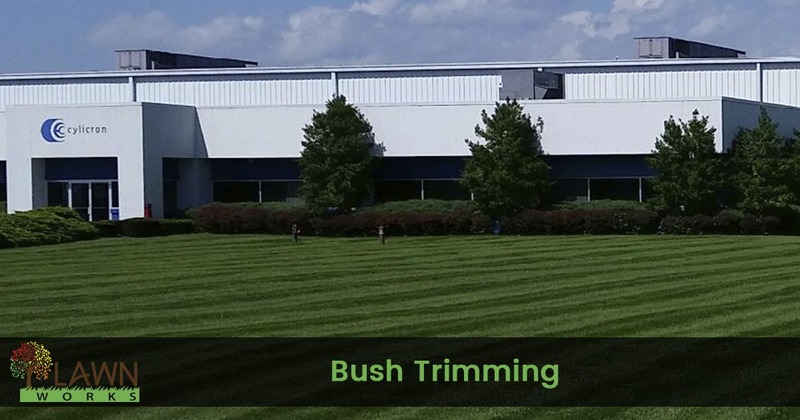 Whether you rely on your shrubs and bushes for privacy, for noise reduction, or even just for aesthetics, it helps to have a company that takes the time to trim them correctly. Otherwise, you may be paying someone just to kill your yard! When you need to know that your bushes, trees, shrubs, and other plants are receiving the best care possible, you need the top name in landscaping services. Call our company today to schedule your initial consultation. Our technicians can best explain what services will achieve the best results, as well as provide you with a free, no-obligation quote. Hire us today to give your yard the best lawn care service around.